The Best Filmmaking blogs from thousands of top Filmmaking blogs in our index using search and social metrics. Data will be refreshed once a week.Also check out Top Filmmaking Youtube Channels list for Top videos on Filmmaking. 2.9 The Hurlblog: Create. Innovate. Educate. 2.38 Preston Kanak – Filmmaker, Educator & Adventurer. Filmmaking newsletter is a comprehensive summary of the day's most important blog posts and news articles from the best Filmmaking websites on the web, and delivered to your email inbox each morning. To subscribe, simply provide us with your email address. About Blog Stories that help us become better filmmakers — no film school required! We post the latest tutorials, interviews, short films, and gear news to help all of us become better filmmakers. Facebook fans 505,864. Twitter followers 120,635. About Blog The leading news, information, and networking site for independent-minded filmmakers, the industry, and moviegoers alike since 1996. Facebook fans 421,621. Twitter followers 499,223. About Blog Publication with a focus on independent film, offering articles, links, and resources. Facebook fans 346,196. Twitter followers 100,550. About Blog PremiumBeat.com is a curated royalty free music website that provides exclusive, high-quality tracks and sound effects for use in new and traditional media projects, including videos, films, apps, games, and television programming. Facebook fans 127,156. Twitter followers 13,631. About Blog Cinema5D is a leading digital filmmaking news, reviews and community platform, covering the latest in cinematography, video DSLR & large sensor technology. Facebook fans 98,962. Twitter followers 17,499. About Blog Read the latest articles on the Raindance blog, featuring tips, advice and insight for independent and aspiring filmmakers. Facebook fans 76,538. Twitter followers 106,544. London About Blog Award winning filmmaker trying to share the knowledge about camera & give back whilst trying to find my place in the world. Philip Bloom is a British DP, Director and Filmmaker known for his DSLR filmmaking, blog and workshops. Facebook fans 208,391. Twitter followers 142,743. Los Angeles, CA About Blog MovieMaker Magazine is the nation's leading resource on the art and business of making movies and the world's most widely read independent film magazine. The world's best-selling independent movie magazine. Empowering moviemakers, engaging film lovers, informing and entertaining both - online and in print. Facebook fans 93,244. Twitter followers 173,243. 9. The Hurlblog: Create. Innovate. Educate. About Blog Hurlbut Visuals was created by Lydia and Shane Hurlbut, ASC to educate and inspire one filmmaker at a time. It began as a way for Shane to share his many years of experience as a filmmaker, his pioneering spirit with new cutting-edge technologies and practical product knowledge on both commercial and feature films. Facebook fans 285,699. Twitter followers 55,904. About Blog FilmmakerIQ.com is a community of filmmakers from all around the world, and all areas of the industry. Find tips to help you build your Filmmaking I.Q. with our collection of videos, articles, expert blogs, forums and more. Facebook fans 426,149. Twitter followers 110,775. About Blog A place to meet, share work, tips, tutorials, and experiences in the field. Professionals and amateurs alike unite to discuss the world of filmmaking. Facebook fans 1,111,838. Twitter followers 486,043. About Blog DSLR Video Shooter and Caleb Pike help you master video production at any experience level - Camera tutorials, video gear reviews, filmmaking tips and more. Facebook fans 82,685. Twitter followers 8,096. About Blog Tactical articles for postproduction professionals. Our mission is to create tactical, actionable articles that teach valuable skills. We want to highlight the amazing work that’s being done every day in our industry, but instead of conducting armchair interviews, we dive into the messy details and show you how it actually works. Facebook fans 17,536. Twitter followers 7,670. About Blog DVXuser is The Online Community for Filmmaking. An entirely free resource for networking, teaching, learning, collaborating and more. Facebook fans 776. Twitter followers n/a. About Blog The ProVideo Coalition brings together the industry's best writers, bloggers and video gurus under one url. Facebook fans n/a. Twitter followers 19,608. The Netherlands About Blog Chung Dha is a Photographer, Filmmaker and Youtuber who has shared his skills and knowledge to the creative community and gained quite the audience on Facebook and Youtube. Simply improving your visual experience in design, photography and videography. Facebook fans 99,554. Twitter followers 21,875. About Blog Filmmaking resources for indie filmmakers, including, screenwriting, financing, producing and film distribution. Facebook fans 64,121. Twitter followers 2,565. About Blog Lights film school is an online learning environment where film makers come together to learn how to make great films and documentaries. Facebook fans 23,264. Twitter followers 2,564. About Blog Filmmaking techniques, camera reviews, and industry tips from my real world experiences as an independent filmmaker in Los Angeles. Facebook fans 5,502. Twitter followers 4,650. About Blog Research, data analysis education around the film industry and filmmaking by writer & producer Stephen Follows. Facebook fans 1,747. Twitter followers 5,723. About Blog We are a young film production company based in Frankfurt (Germany). We are passionate about filmmaking and share short films, behind the scenes videos and tutorials for beginners as well as for advanced filmmakers. A blog by Fenchel & Janisch. Facebook fans 29,121. Twitter followers 2,366. About Blog Vashi Nedomansky: a Los Angeles-based Film Editor. Portfolio and blog. Facebook fans 10,677. Twitter followers 9,009. About Blog Teaching you how to hack your indie filmmaking with stuff they don't teach you in film school. Showing you on how to get your Indie Film Hustle on! Facebook fans 118,997. Twitter followers 44,509. About Blog Tom Barrance's easy-to-understand filmmaking website. I provide film training and activities for schools, youth organisations, nonprofits and businesses. Facebook fans 1,569. Twitter followers 1,215. About Blog Video&Filmmaker is made by filmmakers for filmmakers and can guide you through each step of your film's production, from visualising and funding your script, to selecting gear and planning your shoot. With tutorials & reviews to help you capture the best possible sound & vision, the post-production process, right on through to the distribution of your finished project. Facebook fans n/a. Twitter followers 2,243. About Blog A filmmaking blog for the indie storytellers and filmmakers to nurture their craft and creativity with tips, making-ofs, interviews, tutorials and more. Facebook fans 3,941. Twitter followers 3,971. About Blog HTFS is a film blog and learning center for filmmakers. Our focus is practical and informative blogs about working as a lighting technician, assistant director, production assistant, cinematographer and more. Facebook fans n/a. Twitter followers 2,018. California About Blog Stu Maschwitz is a filmmaker, photographer, and writer, with a passion for kinetic storytelling. A graduate of CalArts, Maschwitz spent four years creating visual effects at Industrial Light & Magic before co-founding the legendary effects firm The Orphanage in 1999. Facebook fans 2,218. Twitter followers 8,856. About Blog Filmmaking Lifestyle teach readers how to run a successful video production company. There are articles on business, success and filmmaking tips of all kinds. The articles here are based on studying the best business and filmmaking minds out there, as well as out-in-the-trenches experience. Facebook fans 4,471. Twitter followers 14,202. About Blog For independent and micro budget film makers. Offering help on how to make a film. Facebook fans 8,081. Twitter followers 12,855. About Blog StudentFilmmakers.com, the # 1 Educational Resource for Film and Video Makers of all levels brings together new-and-emerging filmmakers, members of the motion picture industry, working professionals, professors, and students. Facebook fans 12,994. Twitter followers 68,957. About Blog Since 1976, The Independent has been the leading source of information for independent, grassroots, and activist media-makers, providing inspiration and information for their films and video projects, as well as creating connections to the larger independent media community. Facebook fans 3,675. Twitter followers 3,637. About Blog The Filmmaker's Process is dedicated to helping you make films that you're proud of, one step at a time. Learn how to make films that you're proud of and succeed as a filmmaker in the modern world. Facebook fans 13,421. Twitter followers 567. About Blog Filmmaking tips, resources, reviews, news and links. Facebook fans n/a. Twitter followers 639. About Blog The online magazine for low-budget content creators around the world, offering professional advice, reviews, and even critiques for aspiring creatives. The goal of Microfilmmaker Magazine is to help no-budget filmmakers and content creators make better movies and content and become better storytellers. Facebook fans 2,087. Twitter followers 288. About Blog MobileMovieMaking is an online magazine about shooting video with smartphones & tablets. We seek to collaborate with everyone involved in mobile moviemaking. Facebook fans 275. Twitter followers 2,322. About Blog Startup Filmmaker aims to be a true resource for filmmakers at any stage of the game: for experienced filmmakers looking to find out more about what the buyers themselves are looking for, and to learn the latest trends in distribution, to filmmakers who are seeking distribution for the first time, to student filmmakers hungry to learn. Facebook fans 10,139. Twitter followers 17,012. 38. Preston Kanak – Filmmaker, Educator & Adventurer. About Blog Building a business is a learning experience and in my short time as a filmmaker, I have learned a lot of lessons and made a lot of mistakes. The goal of this website is to help you avoid some of the mistakes I have made along the way by giving you a behind-the-scenes look into some of our productions. Facebook fans 2,034. Twitter followers 8,440. San Francisco, CA About Blog FILM CRUX is a filmmaking blog designed specifically with filmmakers in mind. We create and share everything you need to take your filmmaking to the next level, from tutorials and resources, to inspiration and articles on all aspects of filmmaking. Facebook fans 27. Twitter followers 81. About Blog The most in-dept and detailed filmmaking blog by award winning filmmakers. Tips & tricks to get you from Amateur to Pro. Facebook fans 4,025. Twitter followers 836. About Blog A pluralist, pro bono, and purely positive web-archive of examples of, links to, and comment on, online, Open Access, film and moving image studies resources of note. Facebook fans 13,965. Twitter followers 13,240. About Blog Your Hub for Moviemaking Tips and the Insightful Commentary on Indie Film, Television and Hollywood - Indie, Hollywood and Everything in Between. Facebook fans 15,685. Twitter followers 220,592. About Blog Giving people honest opinions and solid reviews on filmmaking & gear! Facebook fans 19,516. Twitter followers 35,514. Facebook fans n/a. Twitter followers 4,144. About Blog Church Films is helps microbudget filmmakers and video producers quote, land, and manage 5-figure film ad video budgets so they can work towards telling stories of hope that will impact millions. Facebook fans 692. Twitter followers 1,124. About Blog Jon Reiss is a filmmaker and media strategist who wrote the book Think Outside the Box Office. Through his company HybridCinema he helps filmmakers, artists and companies engage audiences and navigate the new distribution and marketing landscape. Facebook fans 2,516. Twitter followers 13,960. About Blog FilmToolKit is a resource for independent filmmakers and YouTubers alike. We write the most value rich product reviews and film guides available. We provide insightful content for independent filmmakers and YouTubers alike with our buyer's guides and informative articles! Facebook fans 68. Twitter followers n/a. About Blog Your new guide to independent filmmaking. Digital FilmMaker is a new magazine aimed at movie lovers who aspire to make films but want to do it independently and without the huge costs normally associated with producing professional films. Facebook fans 9,309. Twitter followers 10,052. About Blog How do we make original films? How do we sell our ideas? How do we get them seen? Good ideas and free downloads for film makers from Tim Clague, BAFTA nominated scriptwriter. About Blog Cult Critic Film Magazine is the digital publication, created by industry professionals that focuses on the art and business of independent filmmaking. Facebook fans 1,322. Twitter followers 26. About Blog My name is Shmuley. I founded EntreFilmmaker to share my experiments, career & productivity hacks to become a better and more successful filmmaker. Facebook fans n/a. Twitter followers 6,790. About Blog A filmmaker who makes, distributes, promotes movies with or without assistance from the film industry, a filmmaker who makes work using means available to them if need be, a filmmaker who cannot be stopped from making movies. This blog is by Brooklyn based indie filmmaker Sujewa Ekanayake, about his work and other filmmaking & distribution news. Celebrating indie film since 2006! Facebook fans 73. Twitter followers n/a. 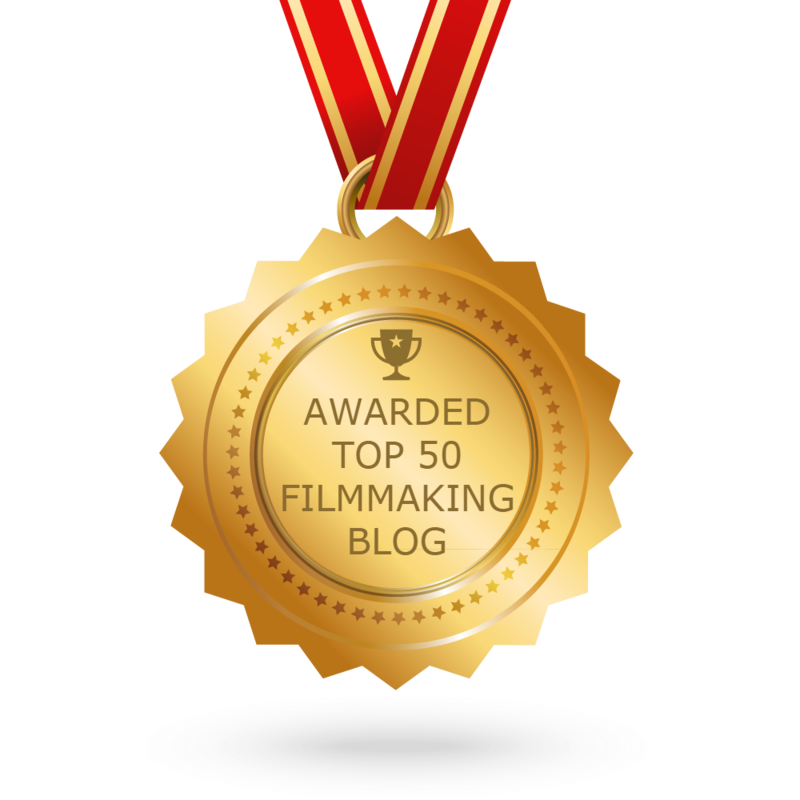 CONGRATULATIONS to every blogger that has made this Top Filmmaking Blogs list! This is the most comprehensive list of best Filmmaking blogs on the internet and I’m honoured to have you as part of this! I personally give you a high-five and want to thank you for your contribution to this world.